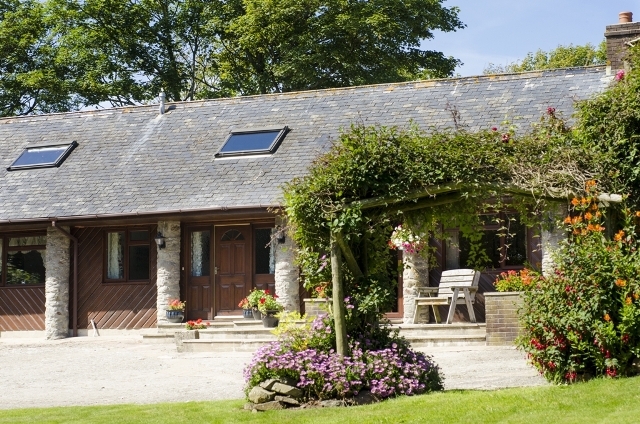 Andrew and Jane would love to welcome you to Pickwell Barton their spacious self catering North Devon holiday cottages, set in a peaceful, stunning location on a North Devon Farm situated on the North Devon coast, overlooking the glorious sandy beaches of Putsborough and Woolacombe. 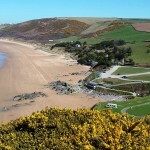 You can walk from the cottages through the meadows to the beach, with breathtaking views of the North Devon coast. 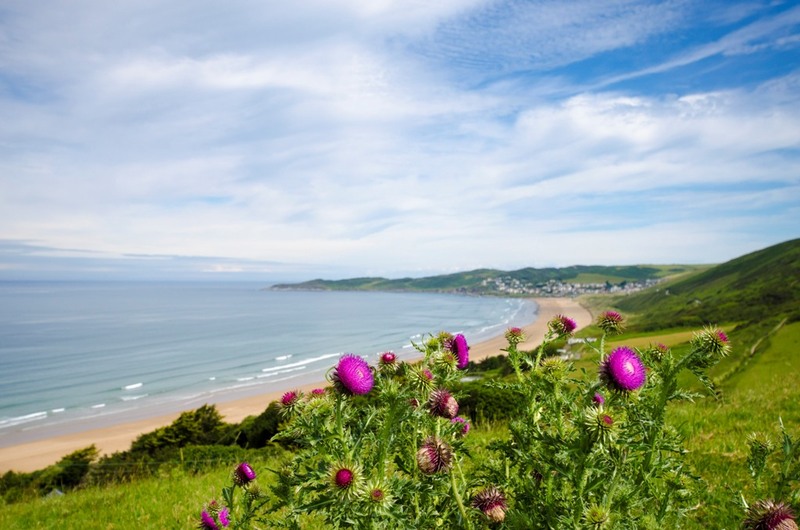 The Cottages offer two beautifully finished holiday cottages set in the most stunning location on the North Devon coast, a short walk through our fields to the No 1 beach in the UK -Woolacombe Beach. The cottages are modern, spacious and well equipped to a very high standard, each having 3 bedrooms and sleep 6, with large enclosed gardens. Pickwell Court – is a beautiful south facing converted barn set in its own private courtyard overlooking a lovely lawn garden with mature shrubs borders. 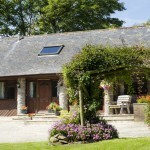 This stunning holiday cottage sleeping up to 6 people is warm and cosy yet very spacious. There are three bedrooms, two of which are on the ground floor – the master king and twin bedroom. Also on the ground floor are the shower room and a family bathroom. This charming cottage with original oak beams is very spacious throughout, ideal for the extended family holiday. The beautiful country kitchen has a table large enough for all the family to sit around for those special family meals. The light and spacious lounge with its roaring log fire has a 42″ colour TV and DVD player has patio doors to the garden, where you will have plenty of space to enjoy alfresco dining on those blaming summer evenings. Upstairs is a beautiful spacious double bedroom with an en-suite toilet. Escape to this very special place where we guarantee you will find peace and relaxation. Pickwell Barton Cottage – the old coachman’s cottage – the barn where he used to tie up his horses is still next door! So why not escape to beams, log fires in winter, uneven floors and low doorways! 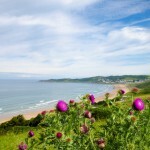 This beautiful charming cottage is very spacious throughout and is a short walk from the beach. The new modernised kitchen is enchanting with its original oak beams, light and airy with access to the patio and large enclosed lawn garden and shrub boarders. Off the kitchen is a new bathroom another toilet room and large utility. You enter the light and spacious lounge down two steps from the hall with TV and DVD player. Upstairs is a master bedroom with king size bed and vanity unit, a double and a twin.